Bed has wood-framed headboard and footboard. 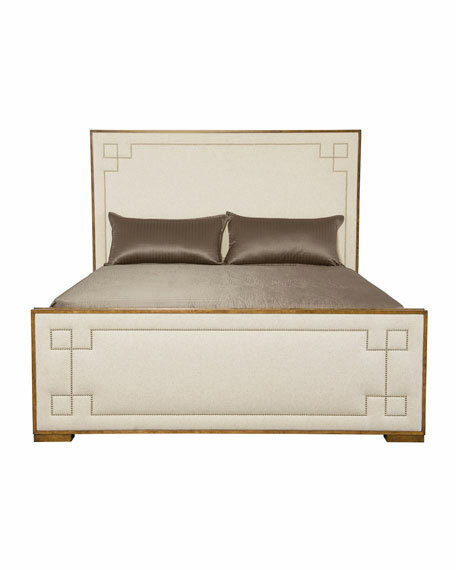 Polyester upholstery on headboard, footboard, and rails. 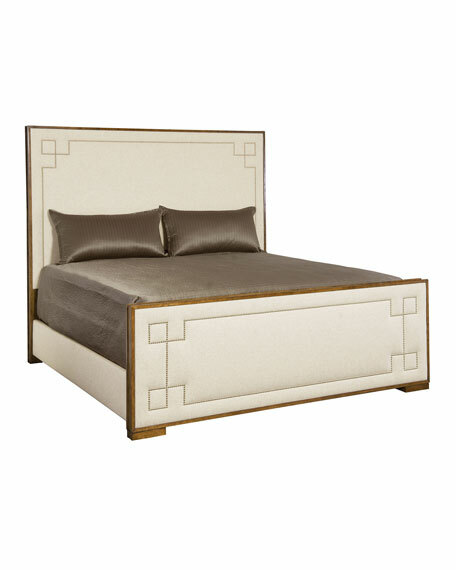 Bright-nickel nailhead trim on headboard and footboard. 80"W x 93"L x 70"T.
Boxed weight, approximately 288 lbs.